Bulk Reef Supply Reverse Osmosis Deionization Systems only take a few minutes to have connected and making purified water. All of the plumbing on the RO/DI unit will be complete and all you will need to do is connect the tubing to a suitable source water connection, and direct the product and waste water lines. 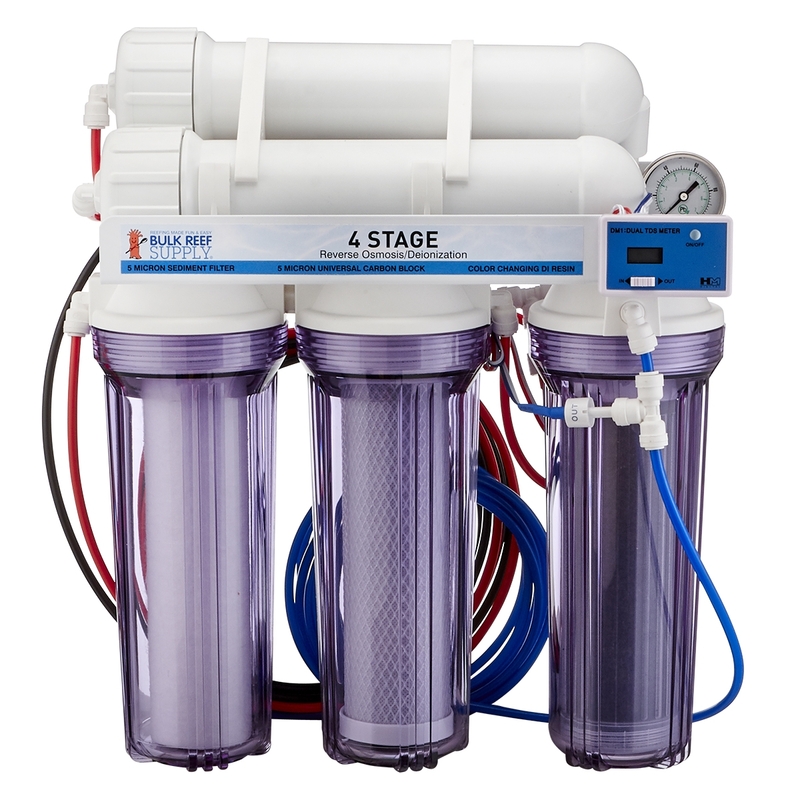 BRS 4 Stage RO/DI systems have 1 sediment filter, 1 carbon block, 1 membrane, and 1 deionization stage making them perfect for water that is treated with low amounts of chlorine or clean well water.